The Arikara people, also known as Sahnish, Arikaree or Ree, are a tribe of Native Americans who reside in North Dakota. Their name is known to derive from the word for "horns", in reference to the ancient custom of wearing two upright bones in their hair, "elk people" or "corn eaters". They are enrolled in the federally recognized tribe known as the Three Affiliated Tribes of the Fort Berthold Reservation. More specifically, they belong to the Mandan, Hidatsa, and Arikara Nation headquartered four miles west of New Town, North Dakota. The reservation lies on both sides of the Missouri, including parts of Dunn, McKenzie, McLean, and Mountrail counties. 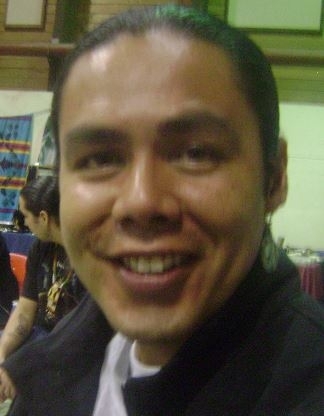 Although only a few elders still speak the Arikara mother tongue, several factors reinforce their unique people group identity: those being, (1) the Arikara rich cultural heritage, (2) their residing on the Fort Berthold Reservation, and (30 their membership in the Mandan, Hidatsa, and Arikara Nation. Some young people are working to keep their mother language alive. In 1876, a mission, the combination of a church, school, and residence, was built at Fort Berthold, by a Congregational missionary named Charles L. Hall. These missionaries tried to get the tribes to adopt non-Indian ways, but the Hidatsa, Mandan, and Sahnish continued to follow their traditions. They occupied their own section of the village, practiced their own religious ceremonies and established their own governments. To encourage the spread of Christianity, the Office of Indian Affairs authorized the Indian agents to punish people who participated in traditional religious ceremonies. Those who did were jailed and had their hair cut off. In 1889, Father Craft was assigned to Elbowoods to start a Catholic Mission. A school was built to accommodate one hundred children. In recent years, the oil industry has boosted the economy. However, such a boom has also created concern among Arikara centered around sacred sites being destroyed resulting in lost memories of ancestors, parents, and grandparents. Others view it as a trade-off benefiting the Arikara who in the past were struggling financially forcing them to take on loans from other tribes. Pray for Arikara Christians to grow in their faith and to share the message of Christ. Pray that Arikara Christians will avoid the cultural temptation to be "in name only" followers of Christ. Pray that messengers of the Gospel will take the message of Christ to the few remaining Arikara people.